Underwater tunnel, feasible or not? 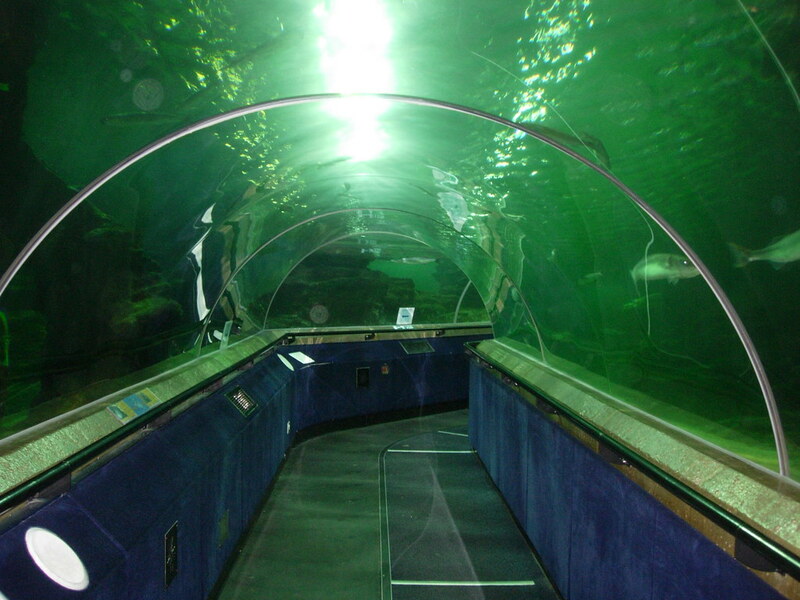 One of my ideas for expanding my Subpen map is to create an underwater tunnel (for clarity: I mean a tunnel of this sort: https://c2.staticflickr.com/2/1020/1116581138_d77d02dfd2_b.jpg). Is it feasible (or even possible) in Hammer? From what I've understood water functionality is fairly limited in Source engine. Specifically, there's no simple way to make it look like you're underwater unless you are inside of a water brush. Clearly in the case I need the water brushes to be outside of the tunnel (although I suppose an alternative would be to make a sunken tunnel). I've looked around and the only decent method I found is to use env_embers as explained here: https://gamebanana.com/tuts/4698 . However, it doesn't really give the desired effect. So is there any way to create an underwater tunnel where it looks like you are underwater? Maybe some form of skybox (I've seen that suggested elsewhere, not sure how I would implement it though)? Or is it pretty much a dead end? Re: Underwater tunnel, feasible or not? If you're looking to simulate the underwater fog that appears if you're in water, you could just use fog entities could you not? As for using env_embers, I would personally just use particles instead of source entities, there's a bubble texture that's default for source. Sorry for the late response. Kraid helped me out with this issue. He has two example maps where there is the appearance/illusion of being underwater while not being inside of a water brush. Either way I came to the conclusion that an underwater tunnel wouldn't really fit in my map so I will not include it.